I believe the production models will have the logo and lettering on the back and leave the plinth clean. 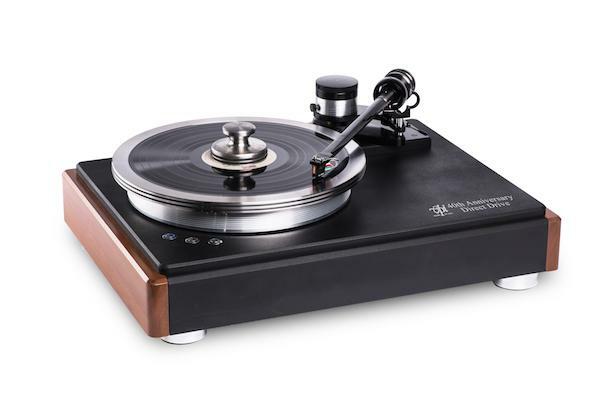 Kevin.......I saw a photo of the VPI HW-40 with a clean plinth and no logo. It may have been a pre-production model. It looked more appealing to my eyes than seeing the white silk screened 40th anniversary advertising on an otherwise great looking turntable. Perhaps if they reduced the overall font size it might not be such a distraction. Last edited by jdandy; 11-03-2018 at 11:28 AM. I wonder if Herman has released his higher tier Kiseki NS cartridges. I believe VPI had a Kiseki Purple Heart NS on some tables before and I really think they are sublime. Not too expensive so maybe not the best match price wise to the Classic Anniversary. Some great suggestions here, thanks. Not sure what I was thinking by sending you the text I sent - you already get a great discount by being a dealer. That’s ok, I appreciate the thought. Lyra Atlas SL. It will wipe the floor with everything else. Mates really well with my Accuphase C-37 as well. What cartridge would you mate with it? My Lyra Atlas will migrate over from my Super Scoutmaster. All these photos are of a prototype; Mat hasn't decided on the final graphic design yet. Ivan.......The HW-40 is a fine looking turntable. My one grip with the aesthetics is the size of the silk screened logo and 40th Anniversary Direct Drive advertising. The turntable would be far more attractive had VPI be a bit more discreet with the size. It is distracting in my opinion, particularly on a turntable at that price point. I think you could might enjoy an Ortofon A95 on this turntable. Dan: I have my A95 mounted on a 12” Fatboy arm on my Classic Direct Drive. It is a match made in heaven!